Magnificent capture of these 2 Gazelles. Lovely to see these beautifully proportioned creatures graze so peacefully ! Beautiful shot of this pair. Interesting that wildebeests, which are so much larger, can run faster than this gazelle. Probably agility and the ability to make quick changes of direction is as important in escaping predators as maximum speed. 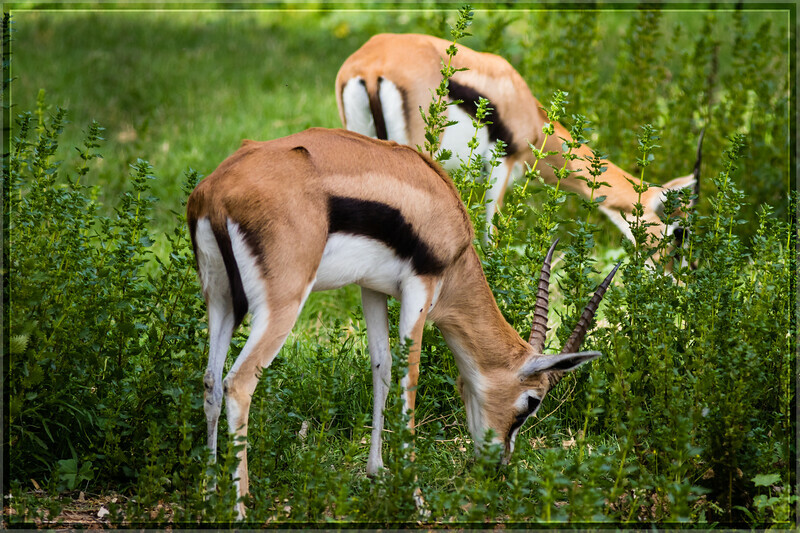 What pretty markings on these gazelles! Great capture of this pair.